This book focuses on evaluating the groundwater storage potentials of a semiarid environment of northeastern Nigeria. The book uses the proven and well established methods and approaches in identifying aquifer types and calculating aquifer parameters, simulating groundwater flow net and transport. We also employ the measured and estimated water budget parameters in evaluating groundwater storage potentials of a hitherto virgin area of Nigeria. We have featured more than 24 figures, diagrams and illustrations to highlight the major themes, that are important in the retention of key concepts. This book presents a holistic approach to advances in groundwater hydrology from recent developments in reservoirs and hydraulics and analytic modeling of transient multi-layer flow. This book therefore integrates the real life data and gives the examples of processes that make the content practical and implementable. These are the examples of developments in groundwater hydrology that underscored perspectives regarding the challenges faced by industry, professionals, researchers and academia. 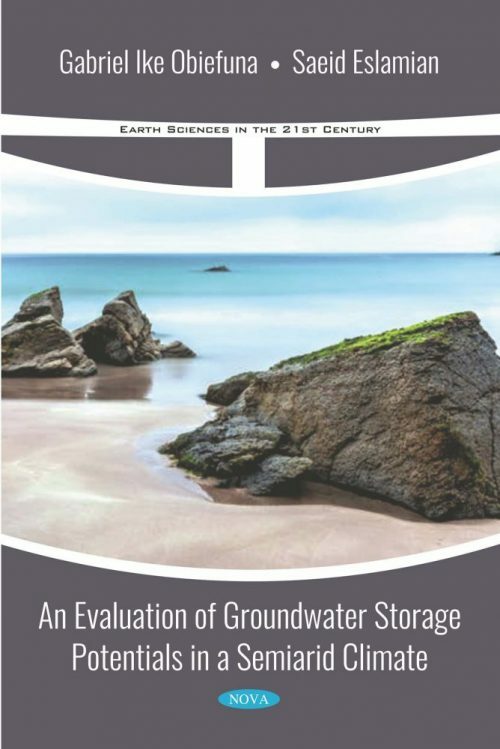 This book is intended to serve as a guide to those who are concerned with various facets of groundwater studies including undergraduate and graduate students, academics and professionals in diverse fields such as geology, geophysics, hydrology, hydrogeology, civil engineering, geography and groundwater drilling. It is hoped that this book will also be of value to those involved in the profession of groundwater studies especially at the early stages of their carrier. Others who will find the book useful are administrators, surveyors, planners, builders and policy makers as well as economists interested in groundwater assessments.